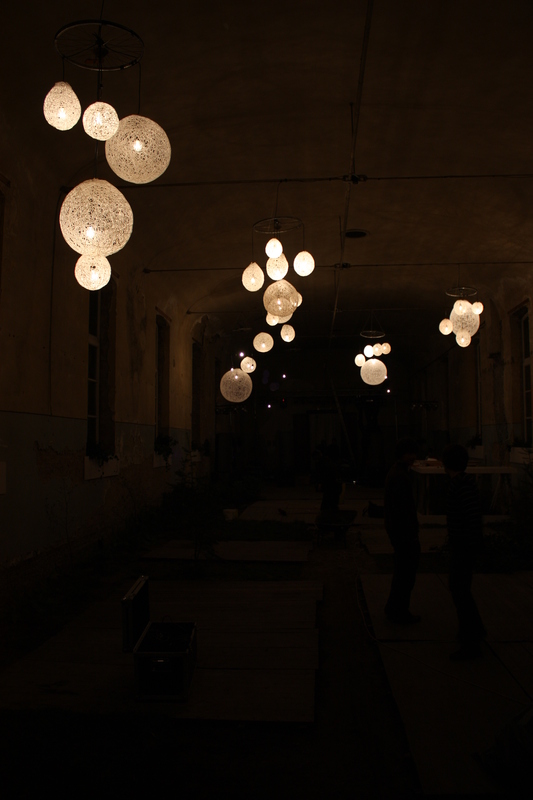 March has been all about renovating and decorating the abandonned orphanage in Leuven for our project week. (More information about Existenz here.) Here are some pictures from the final week before it was finished and the Existenz Maximum Week started. This is where we held our opening reception, jive initation and cocktail party. Wow! This place looks amazing, I can totally image it on Once Wed filled with candle and a blushing bride. wauw wat een verschil! mooi!